22 dead and around 24 lakh people affected due to floods in Bihar & UP : The holy river Ganga and five other rivers are flowing above the danger mark in many districts of Bihar state. Overflowing rivers in the state is triggering a flood-like situation in those districts which are situated along the banks of the river. There is a same situation in Uttar Pradesh also. The water level of major rivers in the state has crossed the danger mark at several areas in the State Uttar Pradesh. 23.71 lakh people affected and at least 22 people were killed in the Bihar floods. 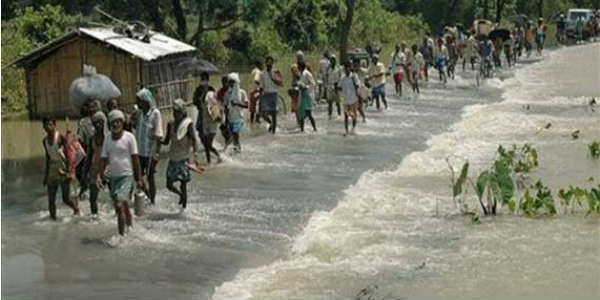 According to the Disaster Management Department statement that the floods caused by a spate in rivers Ganga, Kosi, Ghaghra, Gandak, Burhi, Punpun, and Sone have affected 23.71 lakh people in 1,115 villages under 362 Gram panchayats in 12 districts of the state Bihar. In Bihar state, the Bhojpur district worst hit by the flood, which accounted for the maximum number of deaths, reported 12 deaths followed by Vaishali (6 deaths), 2 deaths in Bhagalpur district and 1 each in Buxar and Lakhisarai district. 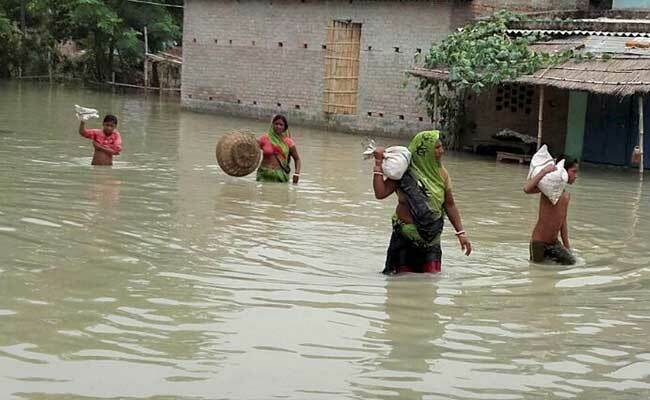 According to the statement of Disaster Management Department that the districts witnessing flood-like situation in Bihar included — Patna, Katihar, Bhagalpur, Munger, Khagaria, Lakhisarai, Samastipur, Begusarai, Saran, Bhojpur, Buxar, and Vaishali. Ganga river and five other rivers in Bihar were flowing above the danger mark in Patna, Buxar, Bhojpur, Siwan, Katihar, Khagaria, and Bhagalpur districts of Bihar state. As per the reports of Disaster Manangement Department that Ganga river was flowing above the danger mark at 6 places in Hathidah, Gandhi ghat, Digha ghat in Patna, Kahalgaon and Bhagalpur in Bhagalpur district, and also in certain parts of Buxar district and Munger district. In the state Uttar Pradesh, Ganga, Sharda, Yamuna, and Ken are flowing above the danger mark in many districts. 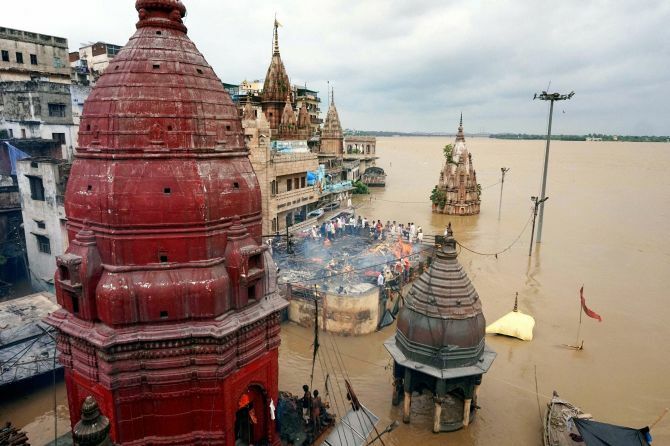 According to the Centre Water Commission (CWC), Ganga is flowing above the danger mark at Chatnag and Fafamau in Allahabad, Ballia, Ghazipur, Varanasi and Mirzapur, while Yamuna river is flowing above the danger mark at Naini(Allahabad), Hamirpur, and Chillaghat (Banda). Sharda river in Uttar Pradesh is flowing above the danger mark at Palliakalan(Kheri) while Ken river is flowing above the danger mark at Banda. As per the reports of PTI – Director Anupam Kashyapi at The IMD’s Bhopal Centre said that heavy rainfall is likely at isolated places in Guna, Rajgarh, Shahdol, Katni, Umaria, Satna, Rewa, Sidhi, Singrauli, and Agar-Malwa districts in the next 24 hours.